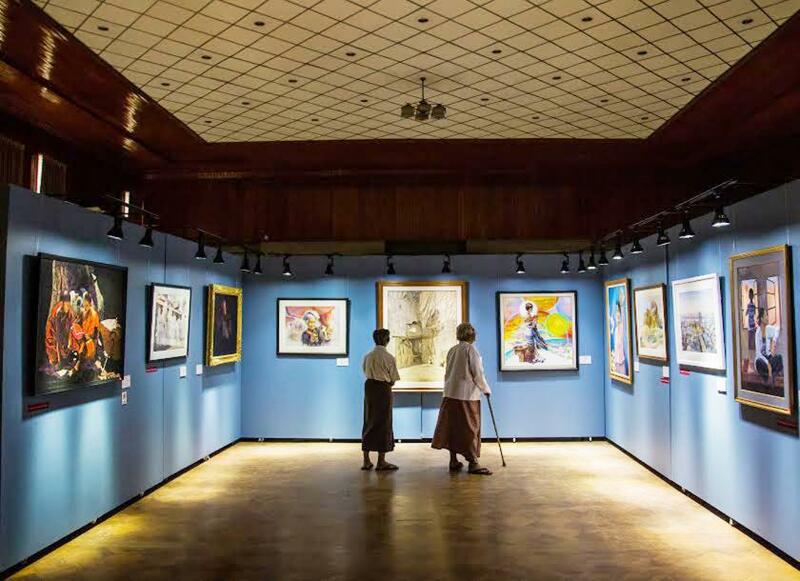 “Many overseas countries bought and collected the paintings of well known Myanmar artists but it is sad that these paintings are not in the National Museum,” said Daw Nang Lao Ngin, Director of the National Museum. The National Museum purchased three works for the exhibition, while 27 artists have donated paintings to the National Museum. Other artists have lent their paintings to the museum for the duration of the exhibition. “Our National Museum group have been preparing for this exhibition for the last four months. With the help of Myanmar art masters U Gyi U Lyun Gywe, Panchi Soe Moe and U Hla Tin Htun we have chosen 73 special artists known for contemporary and realist art to feature in the exhibition,” said Daw Nang Lao Ngin. 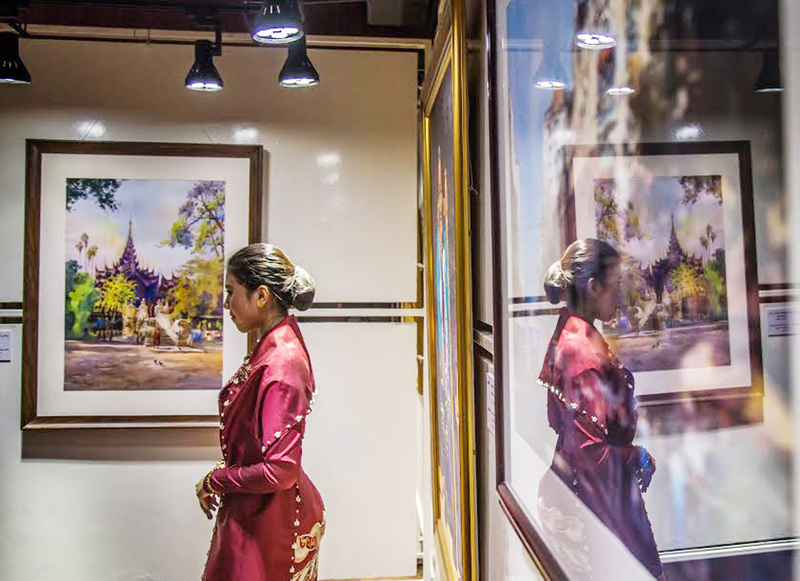 Myanmar’s two national museums – the other is another in Nay Pyi Taw – plan to begin hosting contemporary art exhibitions every year, said Daw Nang Lao Ngin. There are plans to eventually merge the collections of the two museums to create a National Art Museum in the future, she added. One of the most popular works in the exhibition is a portrait of General Aung San, sporting his trademark trench-coat, surrounded by a team of advisers. There are several portraits of his daughter, State Counsellor Aung San Suu Kyi as well. A standout is Artist Sai Myo Myat’s depiction of Suu Kyi, which was bought by U Wai Soe and Daw Nan Leik family who donated it to the museum. San Min’s acrylic on canvas expressionist piece, “Morale”, makes a statement about the mental strength of Myanmar’s political prisoners. San Min produced the painting this year for a solo exhibition but has since donated it to the museum. The subject is a woman in a prison uniform standing with her arms folded, resilient smile on her face. In the background there is a brick wall, some white clouds and an aeroplane. 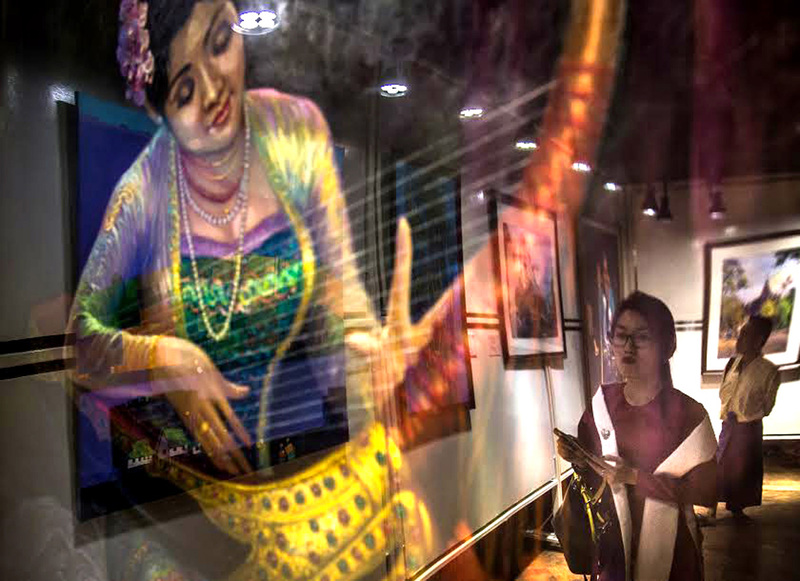 The Museum Activity Art Exhibition runs until February 28 at the National Museum (Yangon). That is very fascinating, You are an overly skilled blogger. I’ve joined your rss feed and look ahead to looking for more of your great post. Additionally, I’ve shared your site in my social networks!